By: Kati Grueneberg, Chief Administrative Officer of CarePlus Dental Plans, Inc. The following article on the benefits and savings potential of CarePlus Dental Plans’ managed care products appeared in an issue of New North B2B, a monthly publication serving Wisconsin businesses, from Fond du Lac to Green Bay. The Affordable Care Act encourages the formation of Accountable Care Organizations (ACOs) to improve the overall quality of healthcare while better controlling cost. While there are some notable differences between ACOs and the managed care organizations that became popular in the 1980s, some would argue the concepts are very similar. ACOs are made up of a group of providers, including primary care doctors, specialists and hospitals, who are responsible for coordinating all aspects of patient care. Managed care is a system in which patient visits specific clinics and/or providers and the cost of treatment is monitored by a management company. The unique managed care relationship often enables both provider and payer organizations to implement simplified processes related to member eligibility, pre-authorizations, payment of claims and collection of member co-pays. These processes are not only less costly to administer, they are also easier for members and providers to understand and navigate. Dental managed care plans traditionally offer benefits that are better than industry norms, such as higher annual maximums and/or lower patient co-pays. Plans can be completely customized, along with a menu of options designed to improve its members' oral and overall health with a focus on preventive care. Industry research has indicated that preventive care may reduce overall dental and medical costs over time. That is something business leaders and their employees can smile about. * BSG analyzed 2011 and 2012 utilization data for approximately 27,000 CarePlus members. Milwaukee average dental claims costs were based on commercial claims database results from the OptumInsight 2012 Dental Rate Manual. 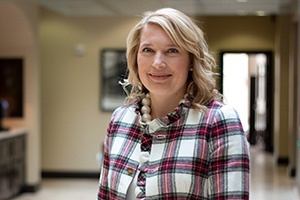 Kati Grueneberg is Chief Administrative Officer for CarePlus Dental Plans. She joined the organization with more than 10 years of customer service and accounts receivable experience and a passion for staff satisfaction. She has been instrumental in efforts to provide our policyholders with the financial services and flexibility they deserve. For over 15 years, Kati has been responsible for all aspects of insurance billings and CarePlus enrollment. She also provides strategic leadership for the organization's quality improvement program and assists with identifying and implementing best practices. For more information about CarePlus Dental Plans call 1-800-318-7007.